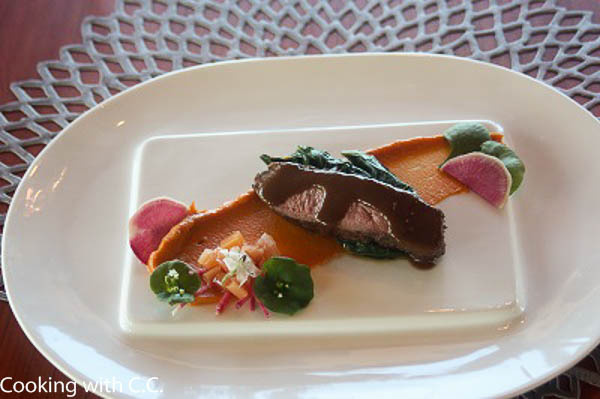 Arista Food & Wine Experience - Cooking With C.C. Lori and I always enjoy when we have the opportunity to spend a few day in Napa and Sonoma Valleys in the California Wine Country. While I know there are many wonderful wineries across many states, Napa and Sonoma are the epi-center of wine in the United States. 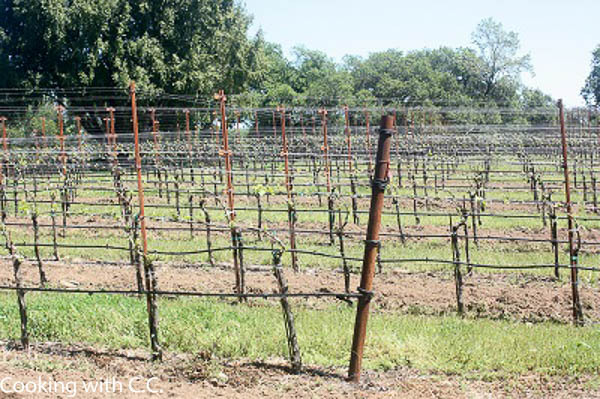 There are about 400 wineries in both Napa and Sonoma – more than you can visit in a few days. 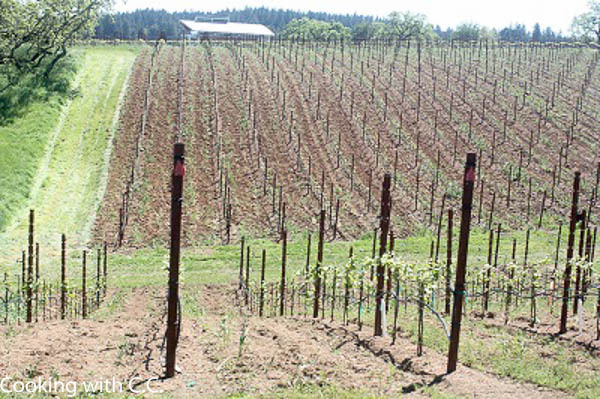 Many of the wineries are small family owned businesses. When we go out to visit, we like to mix in visits to favorite wineries with new places we haven’t visited before. 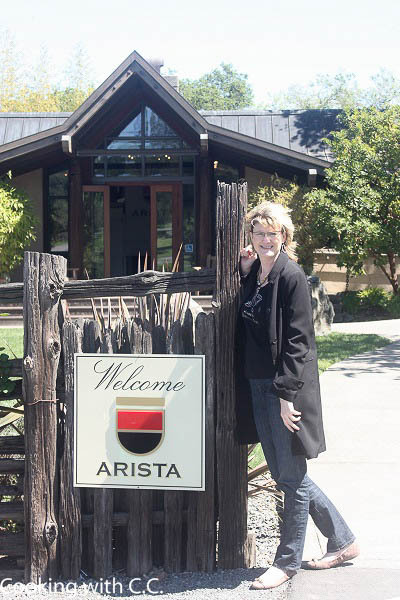 On one of our early trips, we were exploring the Sonoma Valley and first visited Arista Winery on West Side Road. 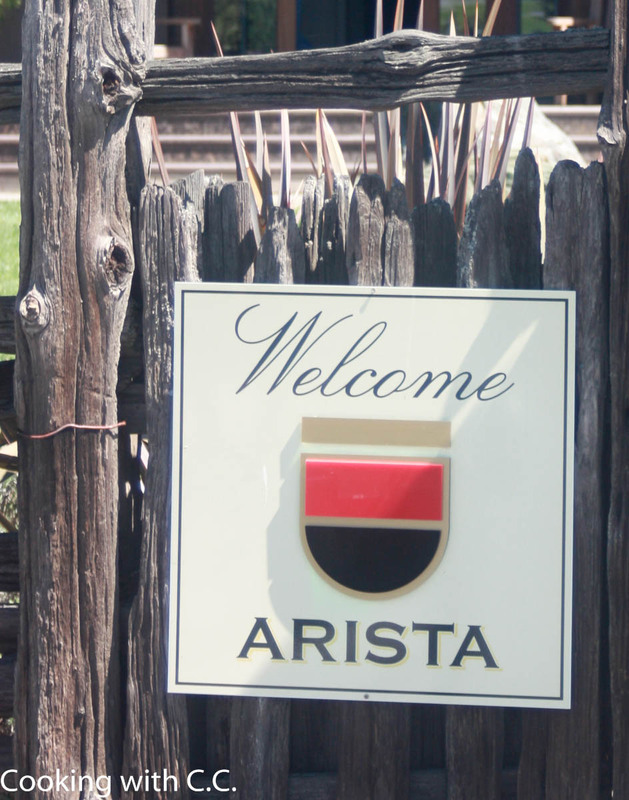 Arista is one of those family owned estates run be several generations of the McWilliams family. We had the opportunity to try most of the wine they produce and brought some home with us on that trip. Since then, we continue to order from Arista when our favorites are offered. 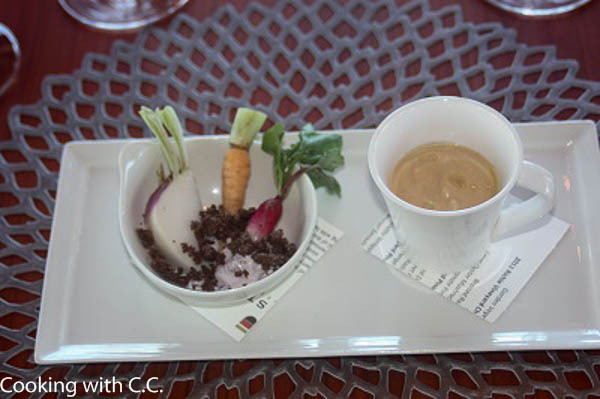 In one of the “A-List” newsletters, they talked about the “Food and Wine” experience that is offered to the A-List members. We had the opportunity to enjoy this on our last trip to Arista. 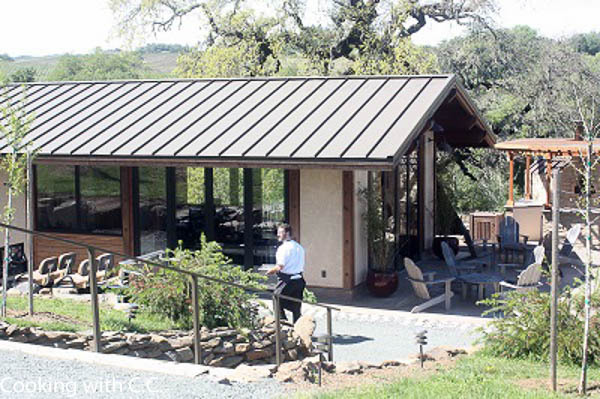 The winery hired Tim Kaulfer as their Executive Chef and built a kitchen and tasting room in the middle of the vineyards. Chef Tim has developed a garden around the kitchen. 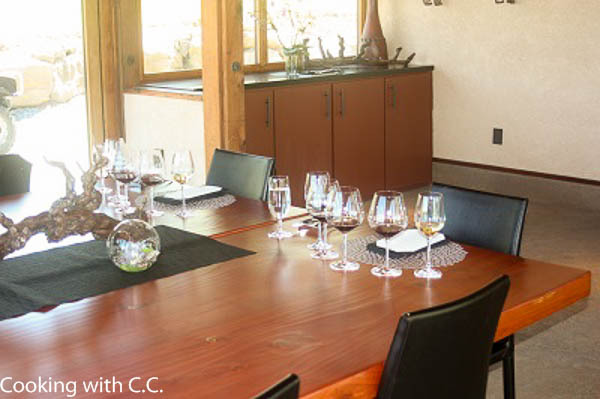 On the day we visited, we started with a golf cart tour of much of the property ending up at the kitchen tasting room. We also walked around the garden with Chef Tim while he picked a few things that he would use in preparing the dishes for our tasting. Our host took us into the tasting room and continued to tell us about the vineyards and the winery. 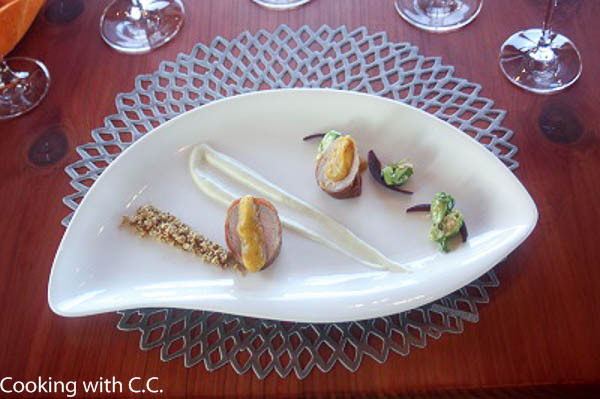 During our 2 hour stay at the winery, Chef Tim presented a variety of dishes designed to highlight and pair with the various Arista Wines. Since our very first visit a number of years back, the Longbow Pinot Noir (Russian River Valley) has been our favorite of the Arista Wines. During our visit this time, we tried a number of other wines and found another favorite – the Toboni Vineyard Pinot Noir (Also Russian River Valley). 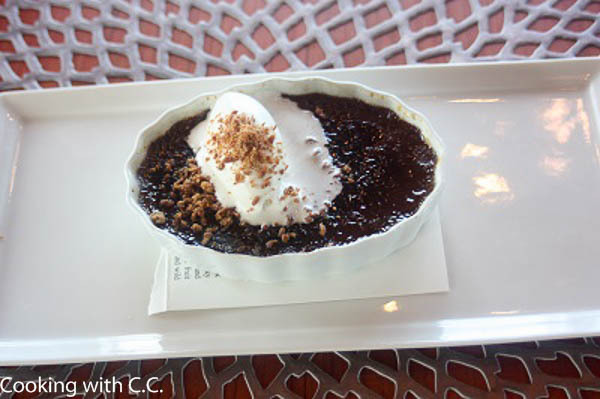 The Zinfandel we had with our Chocolate Creme Brule was also a winner. As I mentioned in a previous post about wine scores, it’s all about what you like. I have found that my favorite wines (Like the Longbow) don’t always receive 90+ scores, however, in my humble opinion, this wine is consistently better than some of the 90+ wines from other Sonoma producers. So, once again, don’t be lured into only trying what some wine reviewer thinks are exceptional wines – you’ll miss a lot of wines that you will think are truly exceptional! When you have the opportunity to actually VISIT a winery, you have a completely different experience. Yes, the wines must be great, but also, you learn about the “personality” of the winery and experience the tasting room and surroundings. The Arista experience with the incredible gardens around the tasting room is one not to miss. The staff is always fabulous and the wines speak for themselves. If you would be interested in visiting Arista and other wineries in Napa and Sonoma, plan on traveling with me on our next Wine Country Extravaganza! Stay tuned for more information – I will be planning and leading a 4 day tour of Napa and Sonoma during the summer of 2016. Details of this trip will be available this summer. If you would like any information, be sure to contact me. Kitchen tasting room, garden in the foreground and Chef Tim heading in to start cooking for us. Ready for a great food and wine tasting! previous post: Wine Scores – Do they help or hurt?